Italian company BMT, high quality bathroom furniture manufacturer, offers a new very refine collection – Piquadro 2. This collection consists of different modular elements which allow to create the most right and flexible bathroom furniture set. There are plenty of modern cabinets available in different attractive finishes and shapes. All of them are quite compact and could fit even to a small bathroom. 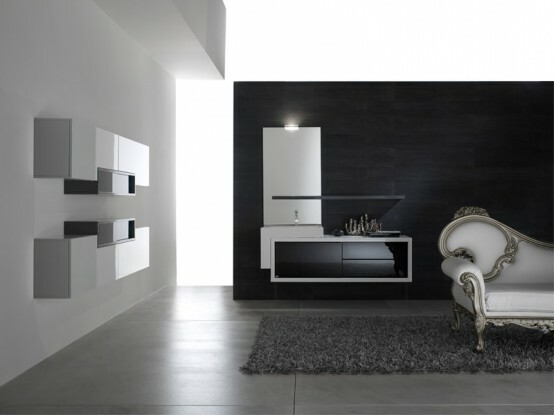 Among this collection you could find amazing sets to design a modern, elegant black and white bathroom. However those people who prefer more gentle solutions could also choose something nice for themselves. The elegant mirrors, which are available with various frames could perfectly enrich any bathroom design made with Piquadro’s furniture.